For pigmentation, spots, all skin types. Optimum brightness and firmness night after night. An upgraded formula containing Whiterefirm Technology, known to boost collagen synthesis* and ingredients that reduces melanin production*. (*In vitro tests) The soft, sensual gel-cream texture of Blanc Expert Nuit™ simply melts into the skin, while the line's signature fresh floral fragrance delights the senses with its subtle notes of peach, iris and lily-of-the-valley. 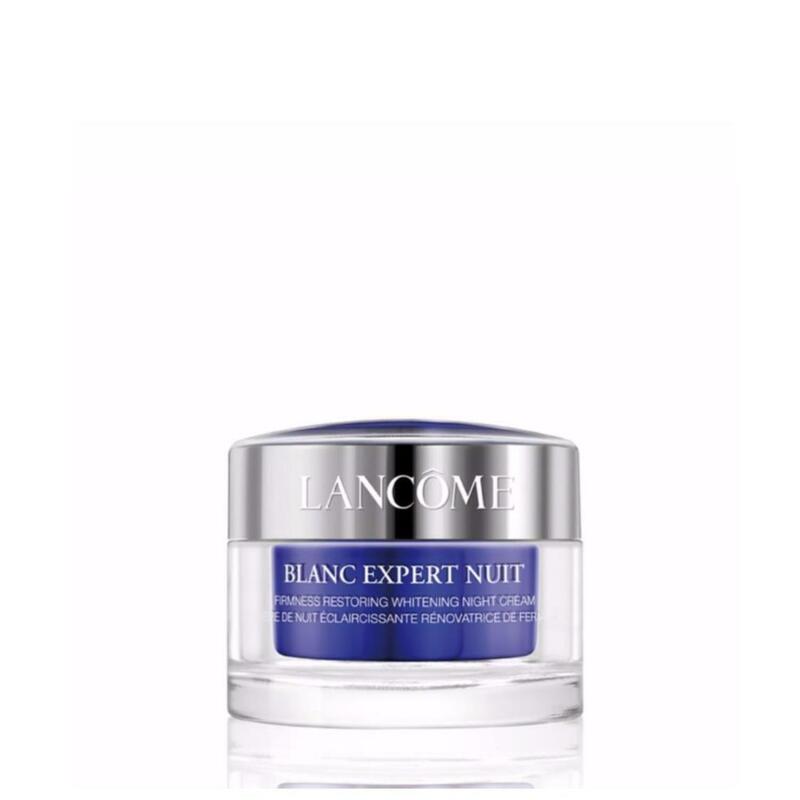 The redesigned packaging features an elegant dark blue lid with a silver ring that clearly distinguishes Blanc Expert Nuit™ from its day cream partner.